Since one of the purposes of this site is to show the many old family photos I have collected, I’m going to write about one photo every Friday. This photo is from the collection of my grandmother, Gail (Patterson) Joachim. I see her and my grandfather in the picture. From their apparent age, I’m guessing the photo was taken around 1935 or 1936. I also see Gail’s parents, Layton and Lillie Patterson. Sadly, I don’t recognize anyone else in this picture! 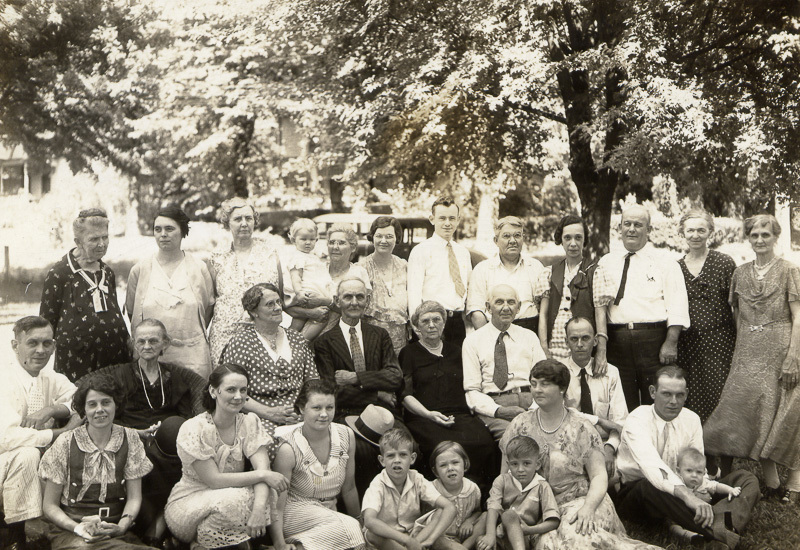 I have the feeling it is family reunion photo of some kind, but that’s just a guess. I have a lot of photos of the Patterson family from this time period, and it seems like I would recognize more people from that family. If anyone has any ideas, please let me know!